I’ve been incredibly busy in diverse and exciting ways. I did want to get you the eclipse scopes though, so here we go. The New Moon Eclipse in Earthy Virgo is a mega-awesome-time for setting intentions. Think big as you make them powerful, detailed and authentic. Pay attention to the house the eclipse falls in. The scopes below are for the “solar houses” but look also to where you find 20 degrees of Virgo. It lights up! ARIES: Focus on your physical body. How do you feed it, care for it. Exercise? Fresh air? The great outdoors? You want to review your health and fitness goals and practices. Set new intentions for the body temple. TAURUS: This cycle of eclipses points toward your creative heart. What do you do that is special and unique to you? Is it art? Music? Acting? Romance? Maybe it is the creative rearing and nurturing of your child. Imaging things even better! GEMINI: You’ve been wanting to make changes in the home and this year is it. Bank on that. So clear out the doubt and the hesitation. Set yourself some powerful intentions around where, how and with whom you live. CANCER: If you have a manuscript, pitch, idea, plan or program to launch, take whatever you think it can achieve and times it by ten. You have a gem of an inspiration, so don’t hold back. It’s time for major accomplishment! LEO: This eclipse is going to do wonders for your bank account. Focus on not just the creative goals you want to reach, but the financial ones as well. The more you intend, the more you will receive. You’re good at receiving, right? VIRGO: Here is is, your personal new moon and a majorly supportive eclipse. This doesn’t happen every year, so immerse yourself in the thing you love, appreciate how far you’ve come and prep for and even better future. It’s happening! LIBRA: Think of this as a ritual new moon, powered up from the inside out. That means you set your intentions based on your inner most, deepest, driving desires. As you take a little time in quiet solitude, you discover the next, exciting path! SCORPIO: This eclipse is like the changing of the guards. Out with the old and in with the new. That might include worn out friendships or relationships that are no longer authentic and true. Don’t be afraid to let go. Do be real! SAGITTARIUS: Focusing on the inner most details of your career, mission or profession will have spectacular results. It’s time for a sea change and you have it served up in the finest offer yet. Be gracious, grateful and visionary! CAPRICORN: Time to mix biz with pleasure, work with travel, fun with facts and practical results. You have the chance to expand your horizons, but you have to plan thoughtfully. Vision it first, set an intention then give it some room! 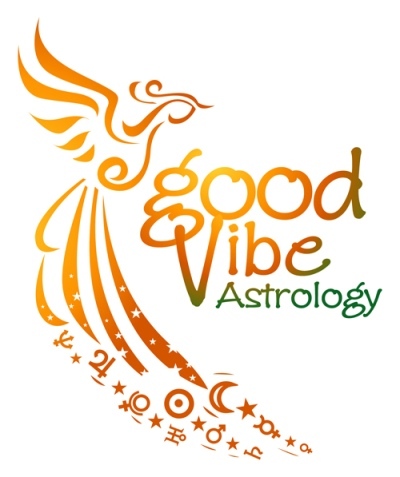 AQUARIUS: Offers or plain old cash could come from grants, advances, loans or windfalls so be alert to opportunities to apply. This is just a metaphor for the support the universe is giving. Know that whatever you attempt, U has your back! PISCES: Relationships sort themselves out on this new moon eclipse. If your first inclination is to spot the problem, take a deep breath and practice everything being all right. Come, go, stay, leave, it’s all good. Practice the Zen of this vibration. Happy New Moon Eclipse, Everyone!